The battery on this phone is fantastic. It lasts days! i use the handset for last 1year.it is very useful but also harmful.there is no blue tooth support. This is a great phone. I have had it for the past 2 years and have had no problems at all! the speaker is great! It is a great phone! The phone is just fine, everything works good (camera, mp3 player) but after a while (i think a quarter-year) my joystick refused to work. With this, a lot of functions get useless and unreichable. What allso would be a very good improvement, is bluetooth. I have it one year now, and now the recharging sometimes goes wrong. I've had it with this phone, think i'm going to buy the LG KG320. this phone is better than the t630, it has more memory supports mp3's, my only complaint about this phone is that it does not have bluetooth only infra-red. fab phone. i have been using this phone for last one and a half year, the joy stick is problematic, i am sick of it. the sound of camera is also very loud.i also dont like the orange light of key pad and the key pad is hard to push.there is no blue tooth. With these exceptions the phone is otherwise quite good and economic. This phone is not recommended. I may be only 13, and this may be my first phone, but I am dissatisfied. The camera is grainy, especially under low light, and the resolution for video is terrible. The joystick literally requires one to bite it in order to get it moving, and the buttons are terrible when it comes to dialing and SMSing. This phone has an extremely low screen resolution, making it hard to read pages of text. WAP services are a gimmick, as you can hardly read text on the tiny screen.The camera makes an annoying shutter sound when taking a picture, and it is impossible to turn off. The lack of memory is also another major setback. Though the box claims 12 MB, in reality the phone memory is closer to six. No Bluetooth is available. I have this phone for 2 years ... and the joystik is reallllllllyyyyyy bad ... I hate it. Overal its ok but the joystick is the most important .. I think. 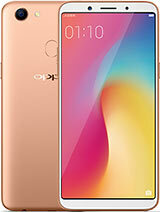 So... don`t buy this phone only if you want it for a short pierod of time. i am using it...but the joystick isnt reali gud...haha...and i reali dont like the sound of the camera when it is taking pics...no bluetooth oso...but i luv it coz it is reali lite n handy! hi.this phone is great for an average phone.i have had it for 2 years. thanks to sony ericsson you can now use the opera mini browser. if you want to check emails & browse full screen internet, download the opera browser. use your phone to access the se homepage &go to applications then download this amazing browser. made me feel like i was using the n70 on the internet! Fantastic, stylish and powerful phone with POOR JOYSTICK! I love this phone. its very light yet powerful in performance and features.it may not have the high megapixel for a camera but still it's stylish and ergonomically design. Owned since 1 year and a half from now.The joystick doesn't work well anymore, otherwise it's a very good phone ..next K750 .althought has the prety much the same poor joystick. This is a very good phone. Very functional for a handsome teenager like me. The feautures are superb, the image qulaity is a great wonder as well as the video. The memory 12 mb, I think it's enough but I admit it's not that worth. But for a less expensive price than this phone, this is one of the best cellphones in the century not only in SE, but also overall units. i got the k500i and its a really tough fone i must of droped it like 100 times and smashed it 4 times and put it back together and it worked fine! i've had the phone 4 about 2 or 3 years and after about a month i was able to use the navigation stick efectivly and easy.